THE STEMS ANNOUNCE LONDON DATE! Aussie garage legends THE STEMS play a one-off London show next year, celebrating the 30th Anniversary of their classic first album. 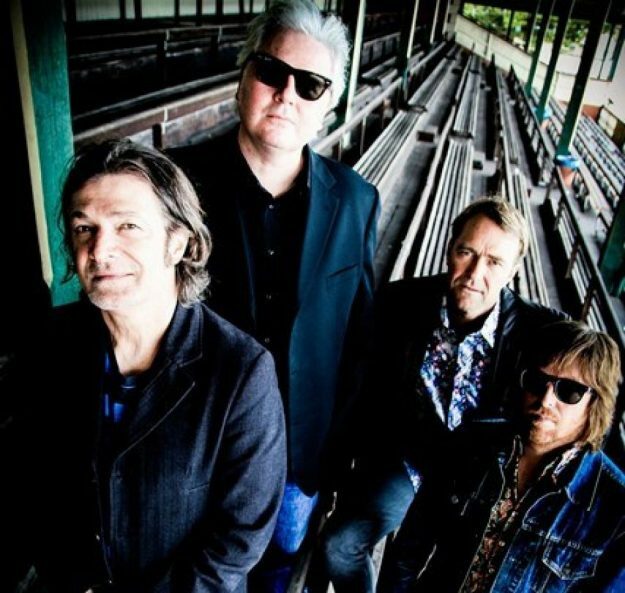 One of the more retro and melodic bands on the highly fertile 80s Australian scene, The Stems were formed in Perth in 1983, releasing their debut album At First Sight, Violets Are Blue four years later. More commercially successful than most of their counterparts, the album reached the Top 40 while subsequent singles made the lower reaches of the Top 100. Splitting prematurely that year, the members went on to various bands with frontman Dom Mariani making his presence felt with The Someloves, The Stonefish, DM3 and, more recently, Datura4 and The Domnicks with former Cortinas and Clash guitarist Nick Sheppard. The reformed Stems have performed regularly in recent years, with Mariani, bassist Julian Matthews and drummer David Shaw joined by new guitarist Ashley Naylor. The Stems play the 100 Club, London on Sunday 6 May. Tickets are on sale here. Check out ‘Tears Me In Two’. ‹ MERRY XMAS FROM THE MILD PERILS!